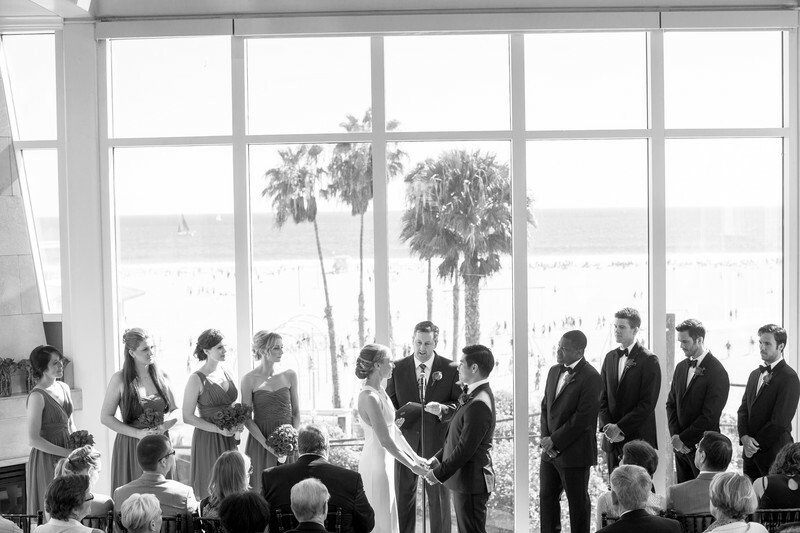 A beautiful moment during this couple's vows. All of the buildup and months of planning really comes down to this. This image is set in the seaside hotel Loews in Santa Monica, CA. The Pacific Ocean calls out in the background.